Long Term Review: Did Wil ruin the Scott Genius 900 Tuned test bike with these 3 changes? It’s now been six months since we first received the Scott Genius 900 Tuned longterm test bike. 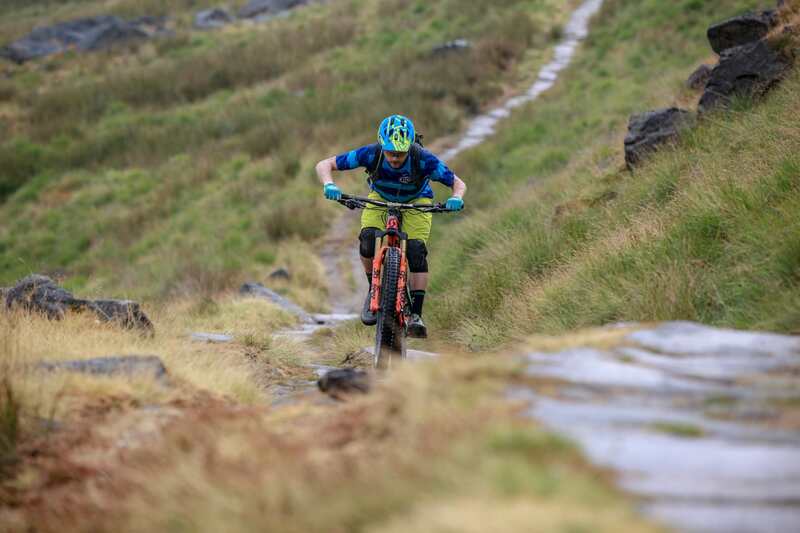 In that time, I’ve had plenty of opportunities to put it through its paces on a variety of different trails, while also exploring this bike’s in-built wheelsize adaptability. The Genius had already impressed me early on with its light overall weight, fantastic suspension quality, and the clever TwinLoc system, but I wanted to make some changes to see if I could squeeze just a little more performance out of it. Now, for those who are looking for a more detailed technical run-down on the Genius, including all of the updates that Scott implemented on the new platform, then make sure you check out Part One of my longterm review – there’s a load of info there about geometry, suspension and all the little details that make the Genius unique. 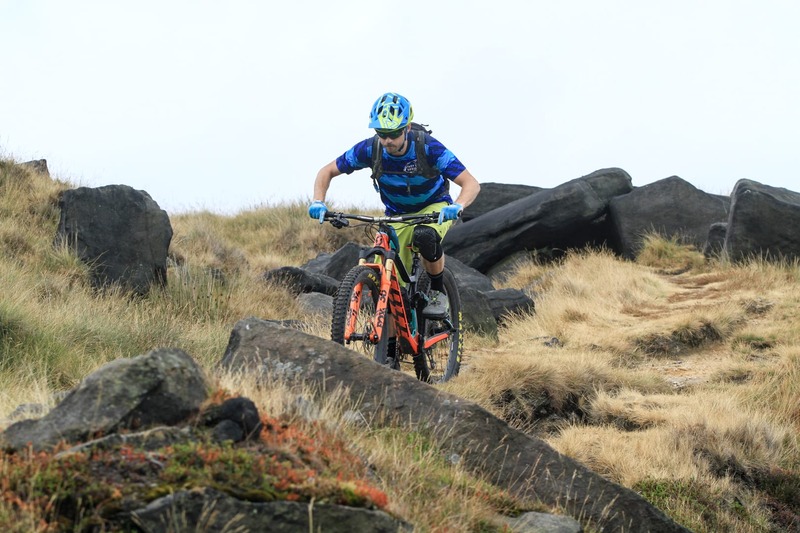 For Part Two of my longterm review, I’m going to focus more on the changes I’ve made to this particular bike, and why I think this is one of the most versatile all mountain bikes currently on the market. 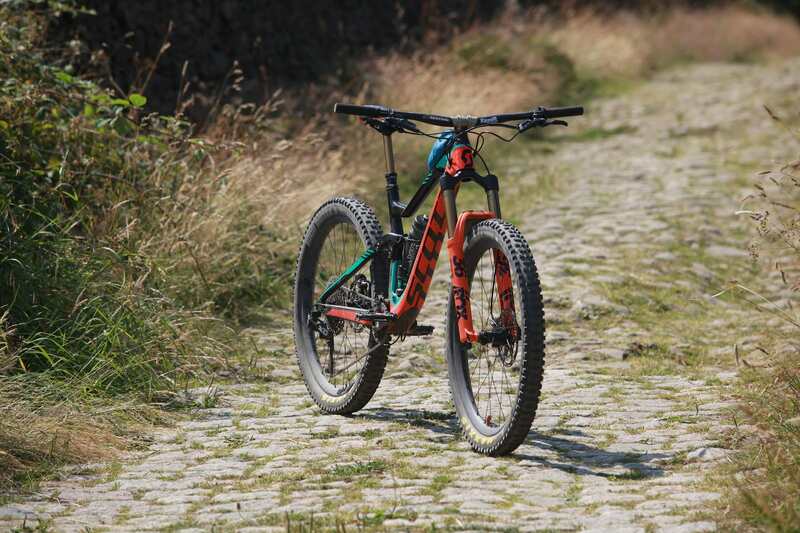 The Scott Genius longterm test bike has had a few changes from stock. As you likely already know, the latest Genius platform is wheelsize ambidextrous. The same 150mm travel frame and fork will accommodate both 29in and 27.5+ wheel setups, and all you need to do is flip a geometry chip in the upper shock eyelet when swapping between the two. The bike I’ve been testing came with a set of Schwalbe 29×2.6in Nobby Nic tyres as stock, though Scott actually sells exactly the same bike in a ‘700’ version that comes with 27.5in wheels and 2.8in wide Maxxis Rekon+ tyres. Syntace C33i carbon rims feature a 33mm internal rim width. 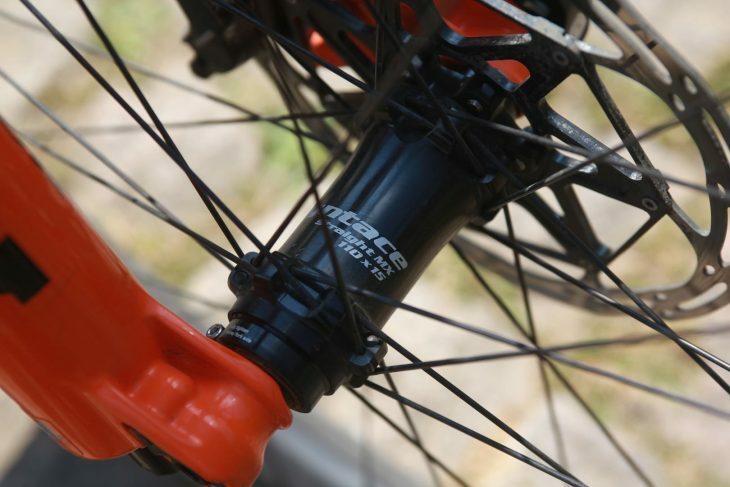 The hubs get an adjustable lockring for eliminating axial play. For the second half of our longterm review, I got my hands on a set of Syntace C33i test wheels, which have a 33mm internal rim width – about right for running plus tyres, though you could also go a bit wider than that. Using high quality hubs, Sapim-manufactured straight-pull spokes and carbon fibre rims, the C33i wheelset is super trick, and comes in at just 1580g for the set. That is bloody light given these are billed as proper enduro-capable hoops, and quite a bit lighter than the stock DT Swiss M1825 wheelset (1910g). It was a different story with the tyres though, which changed from the lightweight Nobby Nic tyres (950g each) to a combo of plump Maxxis 2.8in wide tyres. Up front is the Minion DHR II (1040g) and out back is the High Roller II (1010g). Both feature EXO reinforced sidewalls and dual-compound rubber. I’ll admit that I was initially skeptical of Scott’s remote-activated ‘TwinLoc’ suspension, especially since it crowds the cockpit with two additional cables. That said, I quickly grew to appreciate the middle Traction mode, which limits the rear suspension travel from 150mm to 100mm by shrinking the shock’s air volume. By decreasing volume (and thereby increasing progression) in the Traction mode, the Genius actually sits up higher in its travel, lifting the BB height and steepening the angles a touch – ideal for technical climbing. 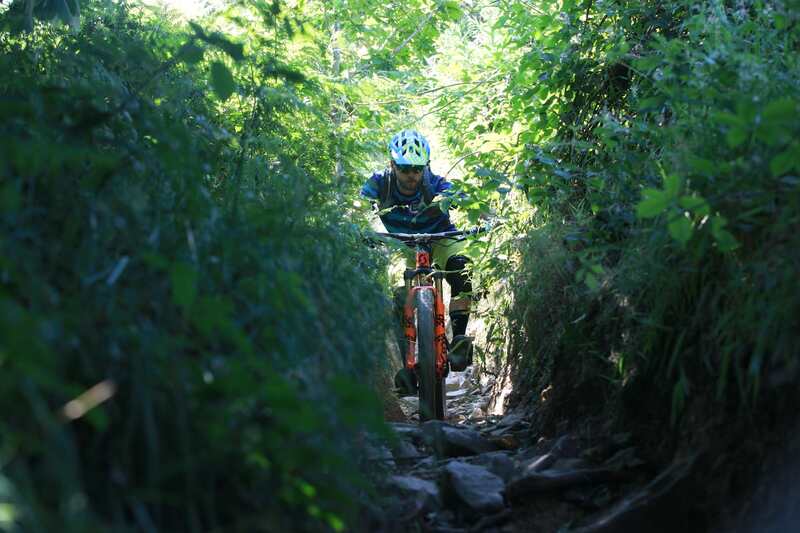 On those technical climbs however, I wasn’t a fan of the added compression damping on the fork. Not only does it make the fork feel harsh compared to the rear suspension, it also makes the fork ride higher in its travel, slackening off the angles and causing the front wheel to feel lighter and more wandery. I removed the fork lockout cable. The solution was to remove the fork’s cable entirely, leaving the TwinLoc remote only connected to the rear shock. The fork is now permanently in the open position, which I’m a-ok with. You could always change the 36’s compression top cap assembly to a crown-adjust version, which would return an on-the-fly lockout lever. Predictably, I wanted wider bars than what came on the stock Genius. The full carbon Syncros Hixon iC SL is a marvellous piece of engineering, integrating the stem and bar into the one hammerhead-style structure that weighs just 297g. They’re also supremely comfortable, with a lovely sweep and a very high degree of vibration dampening. At 760mm wide however, they are too narrow for a 150mm travel 29er that’s as rompable as the Genius. It would appear that Scott and Syncros agree with my sentiment, as the Hixon iC SL bar is getting wider for 2019, growing to 780mm. There’ll also be an even wider 800mm option with a higher 20mm rise. Big 800mm wide Renthal Fatbars. I didn’t have time to wait for the new Syncros bars though, so I sourced an 800mm wide Renthal Fatbar Carbon V2 handlebar, and bolted it onto a Renthal Apex stem. Given the 40mm increase in bar width, I brought the stem length back to 31mm to keep the grips from getting too far away from me. It took a while to get used to the stiff Renthal bars, which are quite a bit more responsive and also a lot more square in their shape than the swoopy Syncros bars. The added width had the desired effect though, giving the Genius a more planted feel up front, while also allowing for more spirited cornering by being able to tip the bars down more easily – important for a bike as big as this. 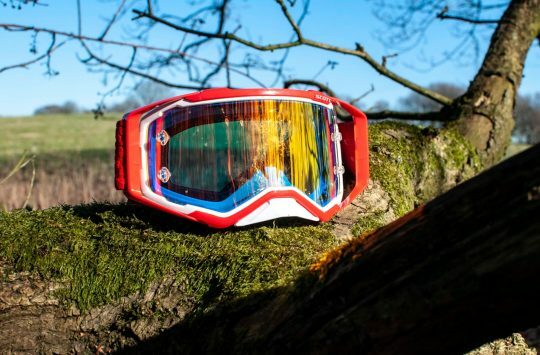 For those who are interested, you can read my separate review on the Renthal Fatbar Carbon V2 here. And a compact Apex stem. My first ride on the chubby Genius ended up being a handy reminder that I don’t always know what’s best. Having got used to the 29er setup I decided to leave the geometry chip setup in the ‘Low’ position despite running the 27.5+ wheels, you know, because low-BBs are super rad and all that. 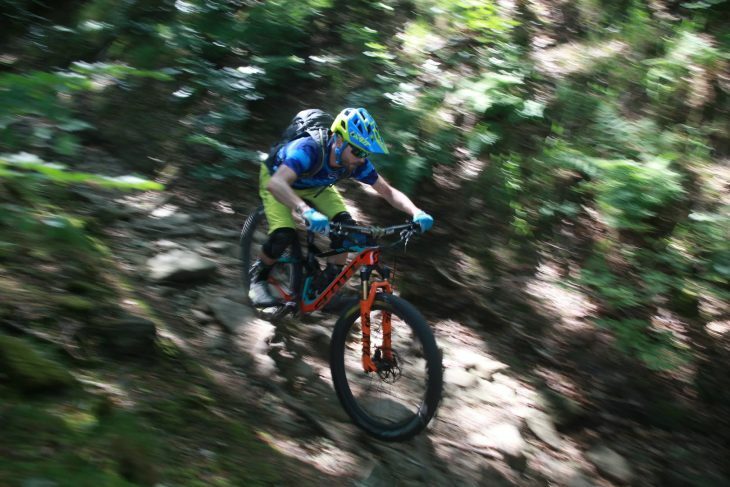 What isn’t rad however, is crunching your pedals into rocky packhorse ledges when you’re trying to climb uphill. Having stalled completely on two occasions on the first technical climb, I conceded defeat and whipped out a three-way Torx key to flip the geo chip. Of note here is the specific T30 torx key required to perform this procedure on the trail, as it isn’t a commonly found bit on multi-tools. Scott clearly loves Torx keys (Torx bolts are everywhere on this bike), so make sure you add those to your riding tool kit. Flick the geometry chip for different wheelsize setups. Looking at the lowest (278mm) and the highest (304mm), that’s quite a lot of range in the dynamic BB height. However, unless your trails have particularly unique requirements, I’d recommend sticking with Scott’s recommendations and simply run the Low setting with 29in wheels, and the High setting with 27.5+ wheels. Riding the Scott Genius in 27.5+ mode. Once I had the geometry set in the correct position, I started to get a better feel for the big plus tyres. Pressures were set lower than the stock 29er tyres, and I settled on 14psi for the front tyre, and 17psi for the rear. Combined with the plush suspension on the Genius, the plus tyres give the bike a doughy feel. Everything is very smooth and comfortable, but there’s a load of damping between your contact points on the trail, and some riders won’t like that. The plus tyres also add quite a bit of drag over the speedier Nobby Nics. The sprightly climbing character of the Genius had been gagged somewhat, though that’s hardly a surprise given the additional footprint and the aggressive tread pattern of the Minion DHR II tyre in particular. More effort is required to get the bike moving to begin with, and I found myself pedalling a little more in sections that I was used to coasting through before. I found I was making use of the TwinLoc remote more regularly to add pep to the Genius’ step, though on longer rides there were never any doubts that I was carrying around extra rubber. The added cushioning from the plus tyres allows you to charge into rocks. 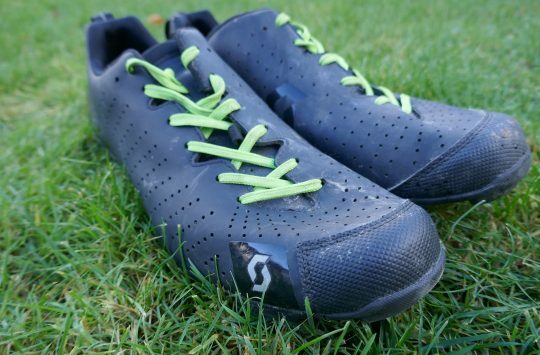 Point the bike downhill however, and the extra traction and cushioning comes into its own. Thanks to its high quality suspension package and sorted frame geometry, the Genius is already a fabulous descender. Add in those big 2.8in tyres and it turns into an absolute plough-machine that you can really let fly into horrible rocky sections. The chubby rubber moulds and melts over all kinds of debris on the trail, muting high-frequency trail chatter both physically and audibly, adding to the suspension’s small-bump sensitivity and the chassis’ high-speed calmness. For me, this added traction was a significant confidence booster. Aboard the chubby Genius, I was able to unlock a particularly tricky section of trail that had been taunting me for some time. I came into it with my usual trepidation, but rather than being pinged off an awkward pointy rock at the very first turn, the Genius carried me around and down, staying stuck to the trail surface. If you’re looking for a confidence booster, the 2.8in tyres deliver tonnes of grip on loose trail surfaces. I wouldn’t say that it’s all rosy with the chubby tyres though. At higher speeds on firmly-packed corners, there’s noticeable casing wobble, particularly from the rear tyre. Bumping up to 18psi helped, but there’s still a degree of squidgyness that comes with those high volume tyres. I’m guessing a tyre insert would help to add some stability, but that would add a lot more weight, and the plus setup isn’t exactly winning in that department. In that regard, my experience with the Maxxis Minion DHR II & High Roller II 2.8in tyre combo echoes Tom’s review of the same tyres. Indeed these are the grippiest plus tyres I’ve ever ridden, and they’re an absolute lol-lercoaster downhill, but that traction comes at a cost. Another aspect I had to get used to during the first few rides on the chubby Genius was the change to the bike’s steering. Although the High geometry setting is primarily used for lifting the BB height, it also has the effect of steepening the head angle by around half a degree. This quickens up the steering a touch, which was compounded by my fitting of the wider handlebar and shorter stem – two changes that increase your hands’ leverage over the front axle. That all sounds like it might be bad, but it isn’t – it’s just something that takes a ride or two to readjust to. Additionally, the big 2.8in Minion DHR II tyre neutralises some of the quickened steering, since the huge contact patch dampens the steering due to the increased friction between tyre and trail. 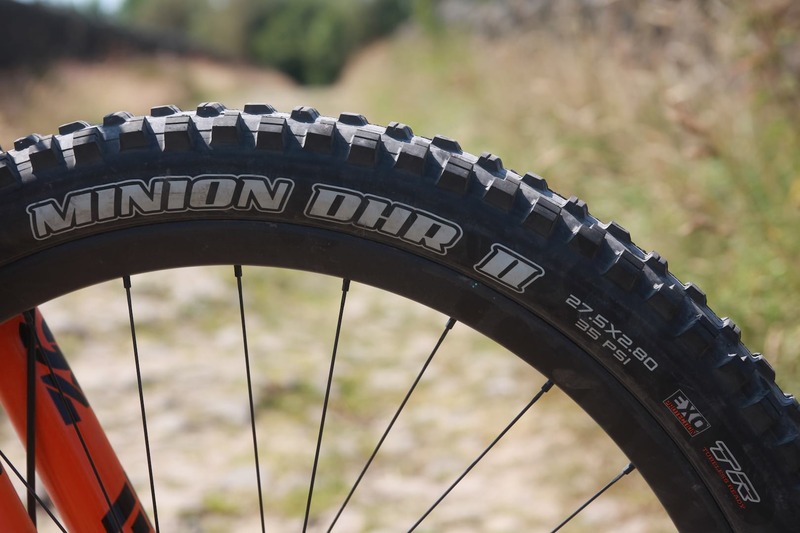 The Minion DHR II is the grippiest plus tyre I’ve used, but it comes at a cost. All in all, the handling remains superb. The Genius is a really intuitive bike to ride, with few idiosyncrasies or caveats to its all-round capabilities. It tracks well, and the short 430mm back end keeps the rear wheel in check through the sharper turns. It is noticeably stickier with the plus tyres, which means it isn’t as enthusiastic to leave the ground when you want it to. A lot of energy from pre-loading the suspension gets sucked up by those big tyres, reducing your effective rebound when you want to lift off. But then it is a bit more of a plough-machine, and I was still impressed with how easy it is to loft at least the front wheel. Even for a ground-dweller like me, I found it to be one of the easiest bikes I’ve ridden for popping a wheelie on. So What’s The Perfect Setup? Err, how long is a piece of string? This is a question that I always approach trepidatiously, since the perfect setup for you is likely to be different to the perfect setup for me. 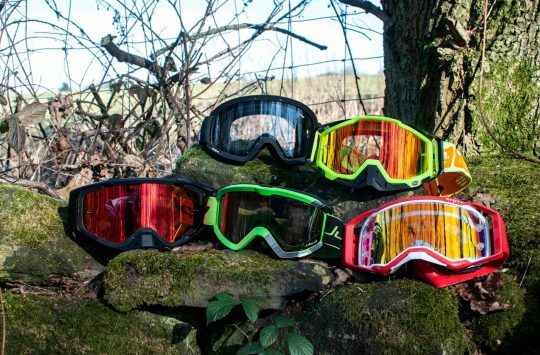 However, I will say is that the Genius 27.5+ setup was an absolute barrel-load of laughs. 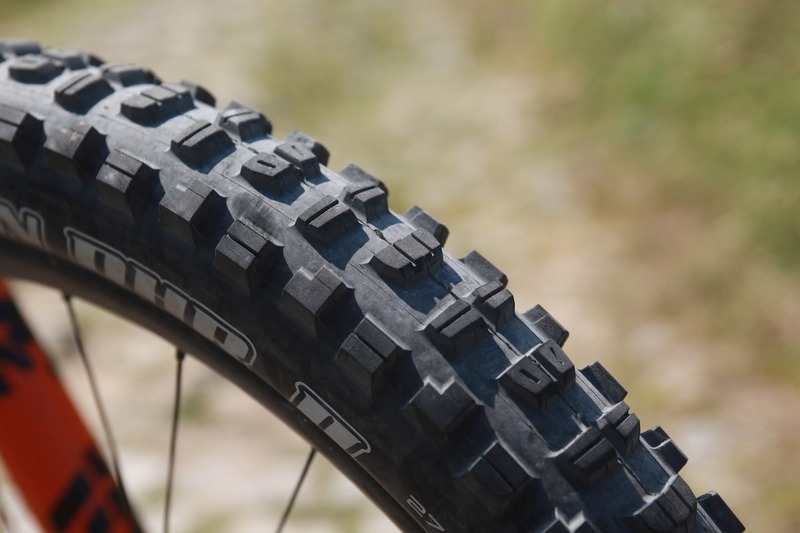 The big tyres give loads of grip, add comfort and boost your confidence on really rough and technical terrain. That said, the aggressive treads I put on this bike aren’t quick rolling, and they sap a lot of energy on really anything that isn’t downhill. You could run faster-rolling tyres like the Rekon+ that Scott specs on the Genius 700 bikes, but aggressive riders who favour responsiveness over comfort still won’t like the damped feel of the higher volume tyres. The sticky tyres detract from the Genius’ superb climbing abilities. After a few weeks of hooning about on the 27.5+ setup, I went back to 29er wheels front and rear, and tried out a set of heavier duty Bontrager SE4 tyres in a 2.6in width. These are a similar weight to the 2.8in Maxxis tyres, but they roll much quicker. Getting back on the 29er setup I was reminded just how fast the Genius can go – it is very, very swift. 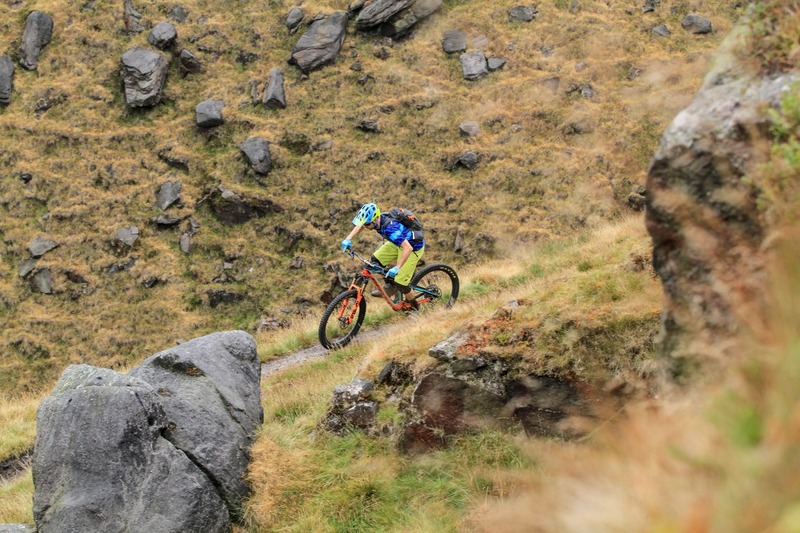 The larger diameter wheels allow it to carry a frankly gobsmacking amount of momentum, and that’s the case on the climbs and on the flats too. This cemented my view on the 27.5+ setup. Despite being a load of fun, I think pairing such big tyres to a 150mm travel bike is overkill for most riders and on most trails. In my experience, plus tyres are more useful on hardtails and shorter travel bikes where they can make a greater difference to grip and comfort. Cables exit a large bolt-on port under the downtube. A top-end bike costing nearly seven thousand of her majesty’s finest pounds should come with top-end performance, and I’m glad to report that the Genius 900 Tuned had very few issues over the six months of testing. The Guide RSC brakes in particular deserve commending for their superb feel, consistent bite point, and smooth delivery of power. Compared to the cheaper Guide RS, R and T brakes, these have retained their lever throw all throughout testing, even as the pads are nearing their end of life. Speaking of, the stock Organic compound brake pads aren’t particularly fond of wet conditions, though it’s been so dry in the UK lately that I’ve only noticed that on the occasional stream crossing. 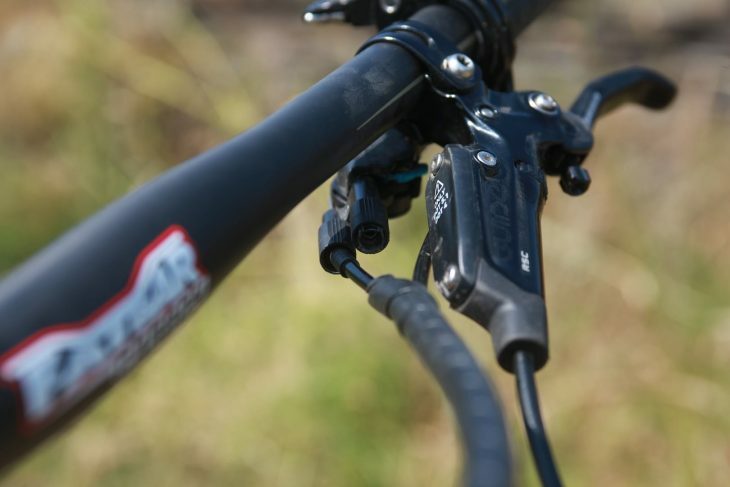 Likewise, the SRAM X01 drivetrain has given no troubles, and the Fox Transfer dropper post has been smooth and fast, with a light but audible action as it returns to its full height. I just wish it had more than 125mm of drop. The rear shock cable is starting to get tatty and sticky. 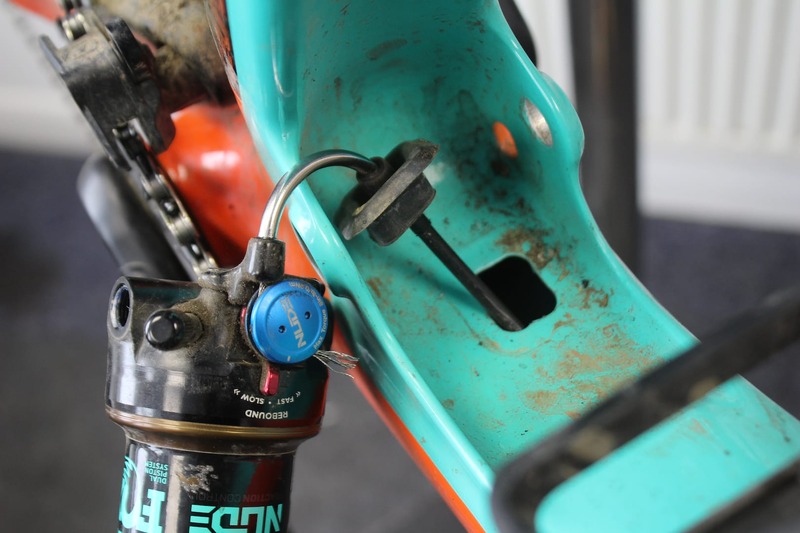 The rear shock cable is due for replacement, as the blue compression dial is no longer returning the cable properly when clicking from Traction to Descend. I tracked this down to the mucky plastic tube that sits inside the metal noodle where the cable exits the downtube. This is a tight bend, and it’s also in an area of the frame that cops muck and water. 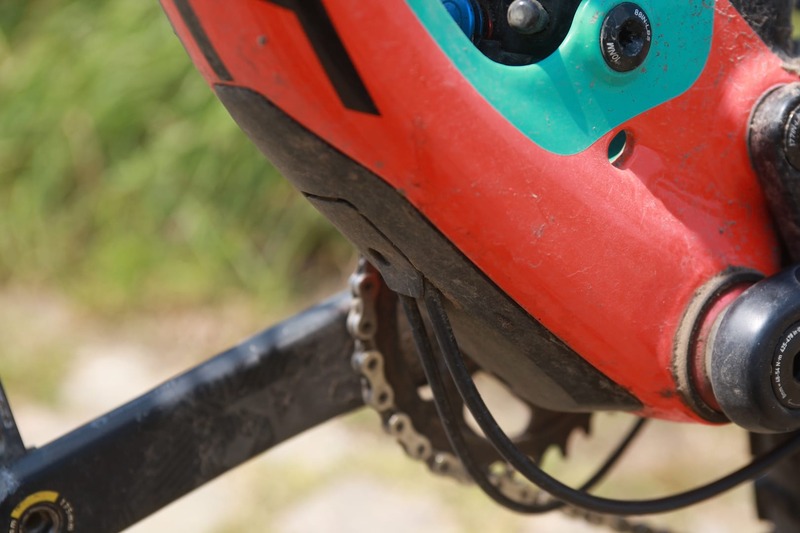 So be prepared to replace it regularly if you ride in wet conditions. Cleaning out the bushings for the rear suspension pivots couldn’t be easier. 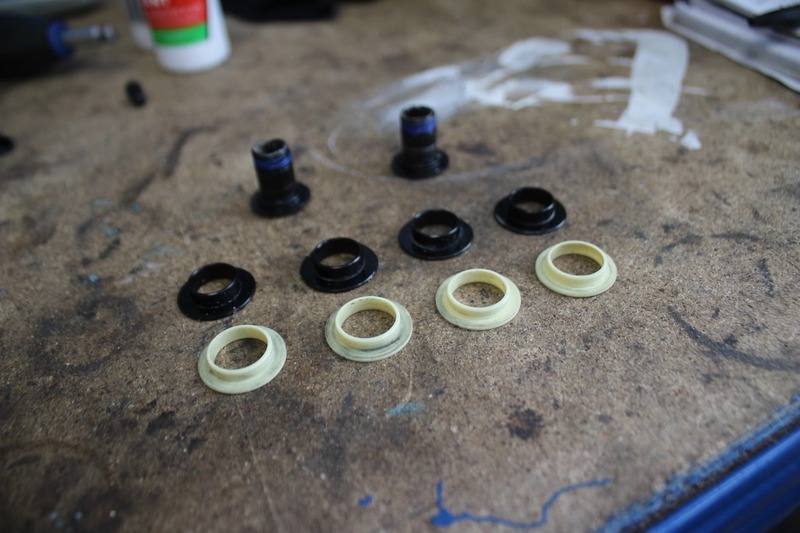 The bushes (cream) sit directly onto the alloy races (black) to allow for rotation at the pivots. It’s a simple press-fit system, with no tools required to remove or install. Though I expected to encounter issues with the bushings in the rear suspension linkage, I had none. 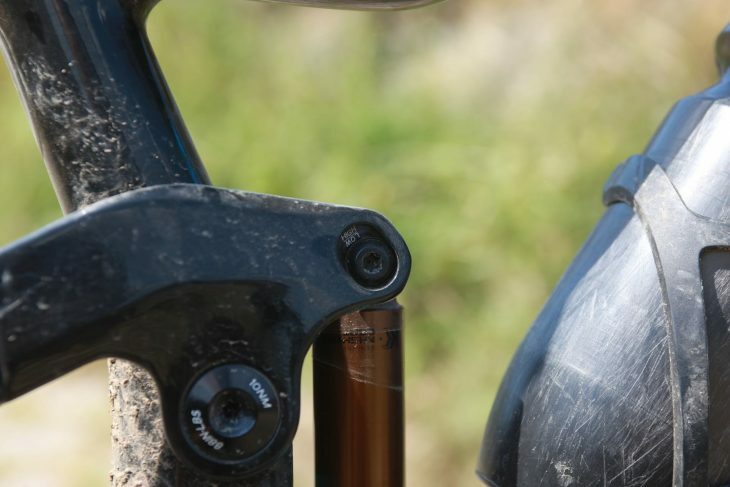 Only the main pivot and central rocker link pivot use cartridge bearings, while the rest of the pivot points roll on simple DU bushings – just like you’ll find in a rear shock eyelet. 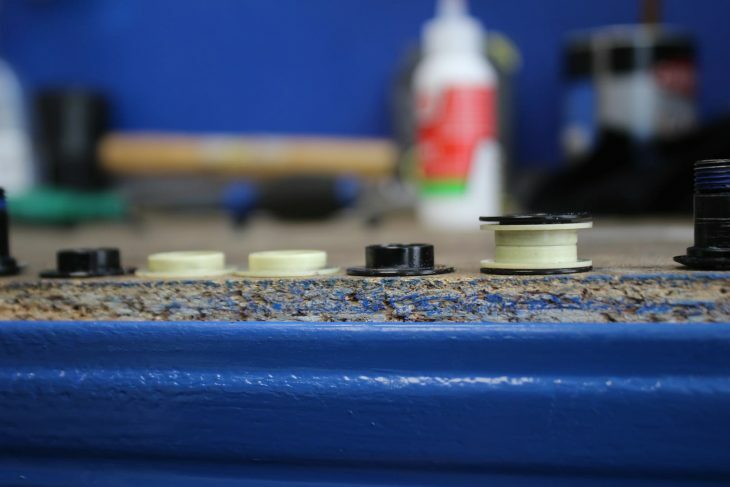 The advantage of these bushings is that they’re simpler, lighter, and cheap to replace. 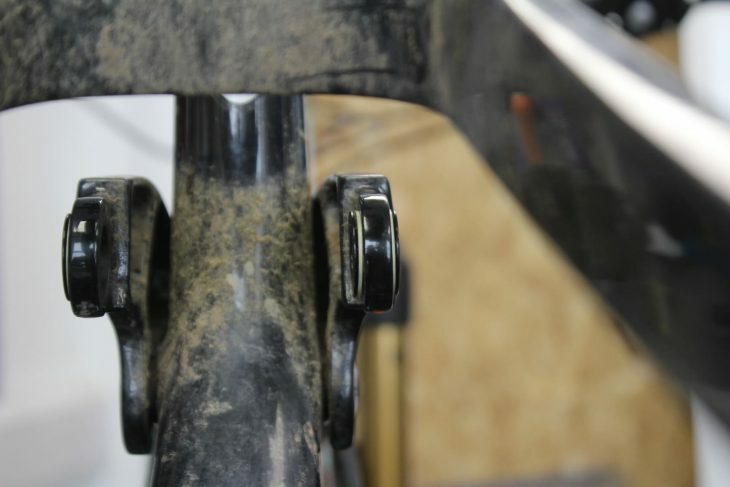 Scott admits that they will wear out faster than a ball bearing, but the beauty of the top-hat style bushing is that they require no special tools (read: hammers) to remove and replace. 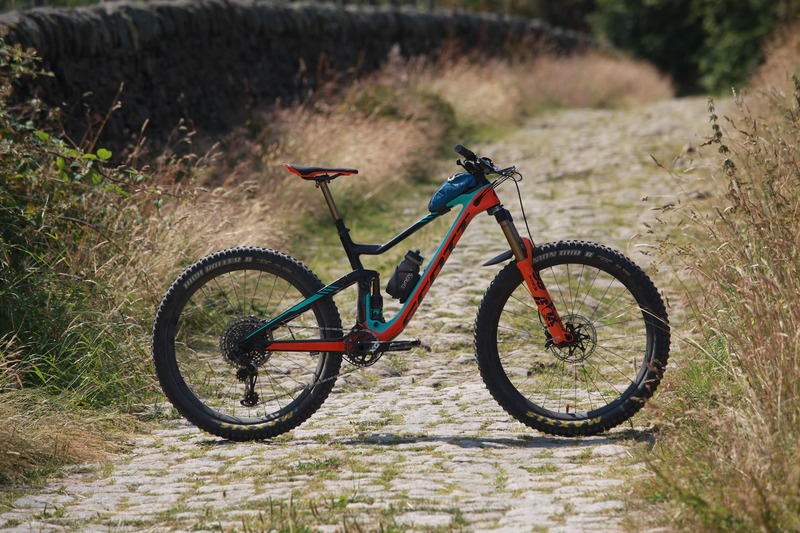 The suspension package and frame geometry on the Genius contribute to its impressive handling across a wide range of riding speeds and trail types. Personally, I preferred the 29er setup on the Genius, but the wheelsize adaptability gives it a load of possibilities. Scott has outdone itself with the revamped Genius platform – compared to its predecessor, it’s a better bike in every way. The suspension is superb, the geometry is spot-on, and it looks fabulous too. 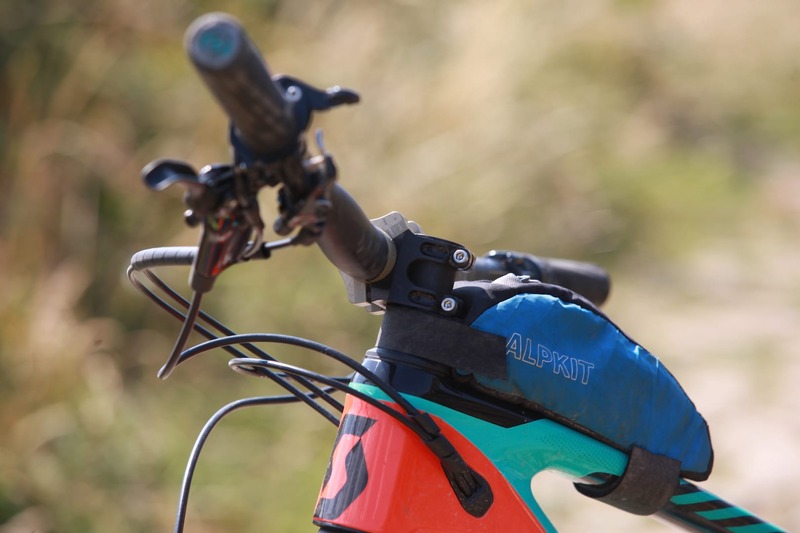 The TwinLoc system may turn some riders off with its extra cables, but at least for the rear shock, it’s a legitimate performance booster that gives the Genius real climbing credentials. 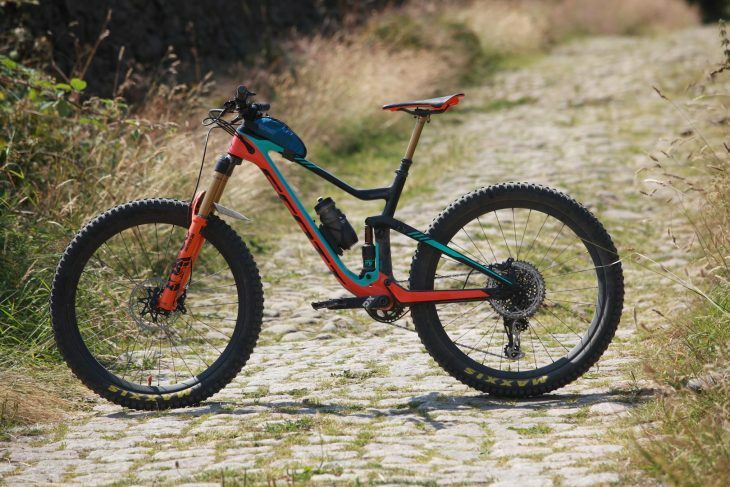 For those who crave tech-trails but don’t live next to a chairlift, this is a bike that will have you maximising your vertical without need for mechanical assistance. It’s a belting ride on the descents too. Though Scott doesn’t strictly market the Genius as an enduro bike, it is very capable, and I’d have no qualms about sticking on a race plate. No, it isn’t a cheap bike, and there are a few frustrating factors holding it back from achieving a perfect score. But if you want a high-performance all mountain bike, and you like the idea of the wheelsize adaptability, this has to be right up there on the shopping list. 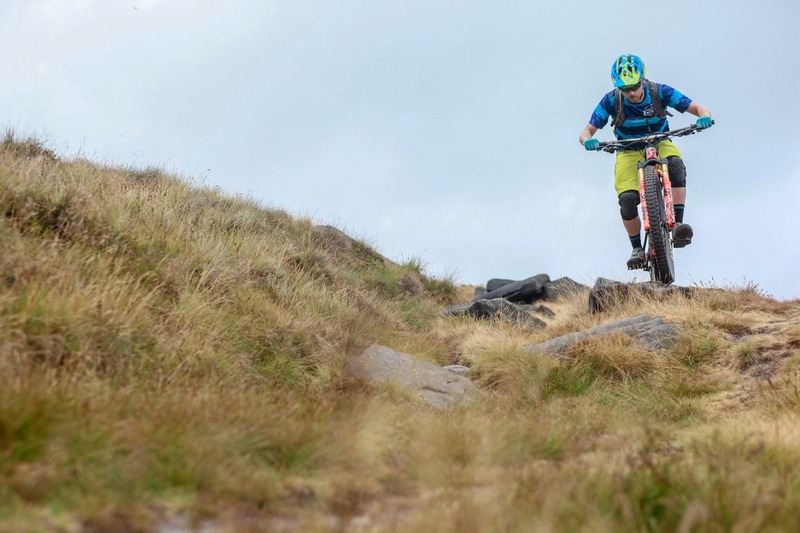 If you want a capable long-travel trail bike that can actually go uphill well, put the Genius on your radar – this bike is a corker. Thanks for your reviews, Wil. They come handy, because I’m just considering this bike. I read that you have a medium sized frame. How tall are you? I’m in doubt, since at 179 cm I’m just in between medium and large. What would be the best bet? come on that just isnt true. @solitone Wil is away for a couple of days, but I can tell you he is 175cm tall. @solitone – Thanks mate, and glad it was useful for you! In response to your question, I stand at 175cm tall, and the Medium is perfect for me. Given you’re a bit taller at 179cm, I’d say the Large will likely be the better option – particularly if you prefer a longer cockpit. 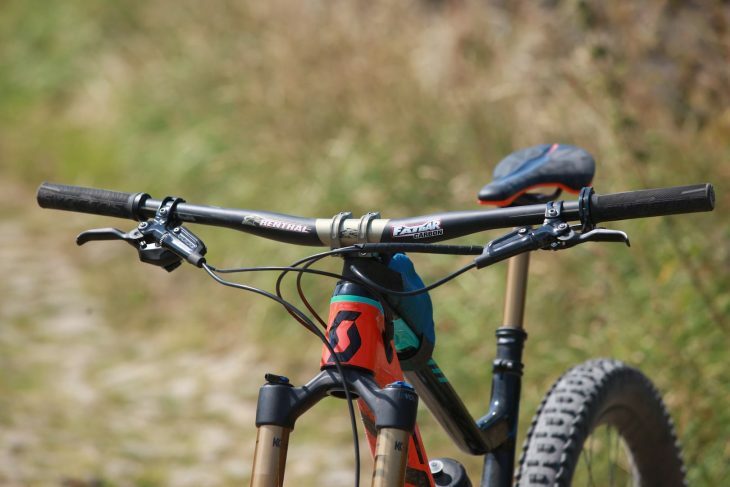 Pretty much what I did with my spark920 in terms of twin lock tweaks, a custom 3d printed ferrule for the fork also helped whilst initially setting the bike up before like you, I realised it was futile.